South Africa has long had a fine international reputation for literary fiction. Nadine Gordimer and JM Coetzee have both won the Nobel Prize for literature. Coetzee has won the Booker Prize twice. Andre Brink has won a slew of international awards. And those are just the names that come immediately to mind. What we have not had is an international reputation for popular fiction. Even within our own borders, overseas books overwhelmingly outsell local books. And internationally our fiction has not — until recently — made so much as a blip in the sales figures. This started to change with the success of John van de Ruit’s Spud books. 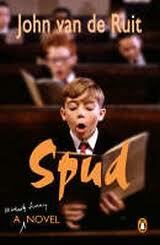 At first glance, Spud didn’t look very promising as either a local or an international hit. Back in 2005, young adult novels generally commanded a very small, niche audience. The book was also unapologetically local in both idiom and setting, and as such should have been of no interest to overseas readers. The fact that it took place in a boys’ boarding school meant it should only have appealed to a tiny minority of white, privileged, male readers who enjoyed the book primarily for its nostalgia value. Instead the Spud series became a publishing phenomenon, enjoyed by children and adults alike, selling briskly overseas, and being turned into a series of films with John Cleese in a starring role. And there, for a while, it rested. Spud was regarded as a once-off hit, unlikely ever to be duplicated. Within a couple of years, publishers had almost given up looking for the “next Spud“. But it turned out that Spud was just the tip of an iceberg of popular South African fiction. 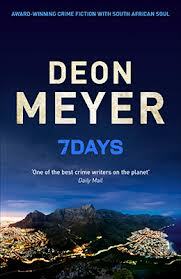 In the thriller genre we have Deon Meyer, a writer who by all conventional wisdom should also not be as successful as he is. For one thing, he writes his books in Afrikaans, and while Afrikaans fiction has its own enthusiastic following, it is very unusual for an Afrikaans writer to make the jump over to the English market simply by being translated. Meyer also sets his books in a determinedly South African locale, with no pandering to international readers. Nevertheless, his novels have been a huge hit both at home and overseas. The stories he writes are just that good. His narrative is so compelling that it loses nothing in translation and leaves the international reader utterly unbothered by the unfamiliar setting. So dominant is Meyer in the genre that it has been said South African thriller writing has a glass ceiling with Meyer’s name on it. 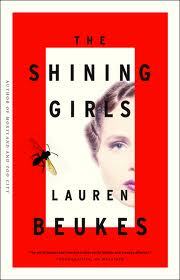 Another writer making waves internationally is Lauren Beukes. Her second novel Zoo City won the Arthur C Clarke Award for Science Fiction Literature. But it is her third novel The Shining Girls that seems set to turn her into a household name. It will be released on both sides of the Atlantic and in South Africa in 2013. Publisher Little, Brown featured it on the cover of its US Spring/Summer catalogue, an indication that The Shining Girls is the release it is most excited about and has the highest expectations of for that season. The book is about a time-travelling serial killer who commits murders through time without being traced until one of the women he tries to kill survives and starts to unravel his mystery. If there was a lot of buzz around Beukes at the Frankfurt Book Fair in 2011, it was another South African author who was making her presence felt at Frankfurt in 2012. Sarah Lotz is one of our most prolific local writers, having published several books under her own name, two YA novels in collaboration with her daughter, under the pseudonym Lily Herne, and two horror novels in collaboration with SA author Louis Greenberg under the pseudonym SL Grey. Just days before the Frankfurt Book Fair, publisher Hodder and Stoughton had a major pre-emptive offer accepted for world rights in The Three and one other novel by Lotz. The offer was made on the strength of a 33-page partial manuscript. “The world is stunned when four commuter planes crash within hours of each other on different continents. Facing global panic, officials are under pressure to find the causes. With terrorist attacks and environmental factors ruled out, there doesn’t appear to be a correlation between the crashes, except that in three of the four air disasters a child survivor is found in the wreckage. The Three will be published in February 2014 and seems set to become a runaway bestseller. One gets the sense that South African popular fiction is a snowball about to roll out of control, taking the international market by storm in the same way as Irish fiction did 15 years ago. Even with the current economic downturn, there has never been a more exciting time to be a writer or a reader in this country.